Even though Goodison exchanged the brush for the pen, her previous career as a painter continues to influence her poetry, including her latest collection of poems, “Supplying Salt and Light,” published by McClelland & Stewart. In her poems, Goodison paints scenes with words, transporting readers through all the senses. Her poems are journeys, exploring Afro-Caribbean history and religion, inspired by her own travels and her upbringing in Jamaica. The idea for the poem “To Make Various Sorts of Black” came from a book called “The Craftsman’s Handbook,” a 1443 how-to guide on Renaissance art by Florentine painter Cennino d’Andrea Cennini, who wrote about the attitudes of medieval artists and offered advice on methods and techniques. When Goodison read parts of the book, she was surprised by Cennini’s suggestions for how to obtain the color black. “It had never occurred to me … that you could learn how to make a color like black,” Goodison said. Her poem is about mixing the color black and then using the paint, images that Goodison describe for their historical context. Cennini connected the opposites of light and dark together in his descriptions of paint. Goodison connects feelings of pain and comfort, grief and happiness together through verse. 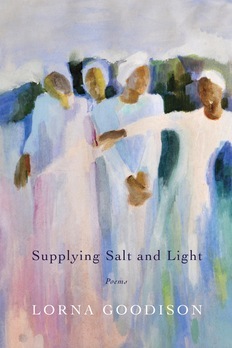 Poem excerpted from Supplying Salt and Light. 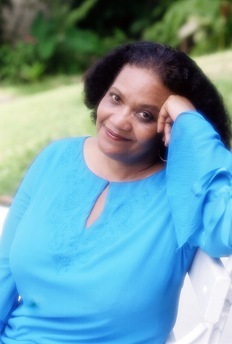 Copyright © 2013 Lorna Goodison. Published by McClelland & Stewart, a division of Random House of Canada Limited. Reproduced by arrangement with the Publisher. All rights reserved.